Early July, 2008, a South African lawyer walked into the Zambia High Commission Chancery in Pretoria, carrying an attaché briefcase in his right hand. His mission: to solicit the assistance of the Mission to trace the whereabouts of a Zambian mother and her son who had been fathered by a former African National Congress (ANC) freedom fighter who had since died. The lawyer, Mr S. L. Poggenpoel, named the people he was looking for as Sibusiso , the biological son of the former ANC cadre, Royal Thembokwathe Magwaza, and his biological mother, Jessie. He was assuming that both of them were still alive and could be traced. Mr Poggenpoel had approached the Mission as a lawyer for IFA Personal Accident Insurance of South Africa who were anxious to trace Sibusiso, who had been named as the sole beneficiary in a life insurance policy taken up by his South African father, Royal Thembokwakhe Magwaza. The lawyer’s firm had been appointed by IFA Insurance to administer the deceased’s estate, hence his interest in the matter. The circumstances of this odd case were as follows: Mr Magwaza was one of the former ANC freedom fighters who were based in Zambia. He was reported to have been living in what was called a “Green House” somewhere in Matero Township, Lusaka. 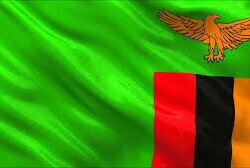 It so happened that while in Matero, Magwaza fell in love with a Zambian lady who was living in a house opposite the “Green House”. The lady was Jessie, with whom he eventually fathered one child, Sibusiso, born on 18th October, 1988. Meanwhile, at the advent of independence in the early 1990’s, Magwaza, together with other ANC freedom fighters, returned to South Africa, leaving Jessie and Sibusiso behind. We were told that after some time, Jessie and her son had left Matero and shifted to Ndola. It was not known where the two were at the time. Apparently, upon his return home, Magwaza never married and did not sire any other child apart from Sibusiso. And so it was that when he opened a life policy with IFA in 2005, he entered Sibusiso as the only beneficiary in the event of his death. Magwaza, who was working in the South African Defence Force where he rose through the ranks to become a colonel, died on 19th January, 2008 of natural causes. The insurance company concerned wanted the Zambian government to help them trace Sibusiso and his mother so that the young man could come to South Africa and get his benefits as per his late father’s wish. Naturally, when coming to South Africa, Sibusiso would be required to produce his birth certificate, National Registration Card and Passport. If not traced, the insurance company would pay out the benefits to the deceased’s relatives in South Africa who had reportedly tried to convince them that Sibusiso could not be traced. The then High Commissioner, Mr Leslie Mbula, assigned this writer, whose duties at the Mission included performing consular duties, to deal with the matter. And as per procedure, I wrote to the Ministry of Foreign Affairs in Lusaka, requesting for assistance. We provided all the details furnished to us by the South African lawyer. Fortunately, within a month or so, Sibusiso and his mother were eventually traced. They came over to South Africa and paid a courtesy call on the High Commissioner to thank him for the efforts the Mission had played in reuniting them with Sibusiso’s late father’s relatives. Apart from the lawyer, Sibusiso and his mother were accompanied to the Chancery by the late Magwaza’s surviving sister and brother. Both confirmed that there was no doubt the boy was their elder brother’s son since he bore such remarkable resemblance with his late father. And the High Commissioner advised Sibusiso that the fact that his late father had bequeathed his entire estate to him did not mean that he could not use his discretion to assist his relatives. In fact, he said, it was important that he remembered his father’s relatives who had readily accepted him as a member of their family. Jessie explained to the High Commissioner that she was informed of the “surprise” news by a neighbour who had listened to a radio programme through which the Pretoria Mission’s appeal for assistance was aired. It was then that she travelled to Lusaka and went to the Ministry of Foreign Affairs Headquarters to get official confirmation. She provided all the details to the Ministry which helped her and her son get passports to travel to South Africa. Meanwhile, as per arrangement, Mr Poggenpoel organised return air tickets for their travel to and from Johannesburg. Jessie confessed that she had problems raising Sibusiso as a single parent since her salary as a nurse was very little. Although she had managed to educate him up to Grade 12, the final results were not impressive. He needed to repeat some of the subjects. “We would have been very happy if the father was still alive so that he could see how much his son had grown during the 16 years he had been away. As it is, his son won’t live to see his dad, but I am happy that he remembered that he had left a child back in Zambia” she said. She thanked the Zambian government in general and the Pretoria Mission in particular for reuniting her son with his South African family. “Without you, what has happened would not have happened,” she said, but the High Commissioner reminded her that the Mission had not done her any favour at all since it was only carrying out its duty as a representative of the Zambian government in South Africa.